( 0:25 ): Welcome to TSC HIM & HER Show. This week we are joined by Sahara Rose. She is a best-selling author, blogger and ayurveda specialist. ( 1:30 ): At Create & Cultivate we saw Kim Kardashian. She was poised and contributed a great deal of value. She shared what it takes to succeed and the best and worst parts of her open life. ( 4:40 ): HIM TIP: Create a bedtime drink naturally. Find all of the ingredients on Thrivemarket.com/skinny. This drink will knock you out. ( 7:30 ): HER TIP: Let’s talk about the epidemic of dirty tongues. It’s SO important to use a tongue scraper. ( 12:20 ): Sahara Rose is the best-selling author of The Idiot’s Guide to Ayurveda. She’s been called a leading voice for the millennial generation by Deepak Chopra. 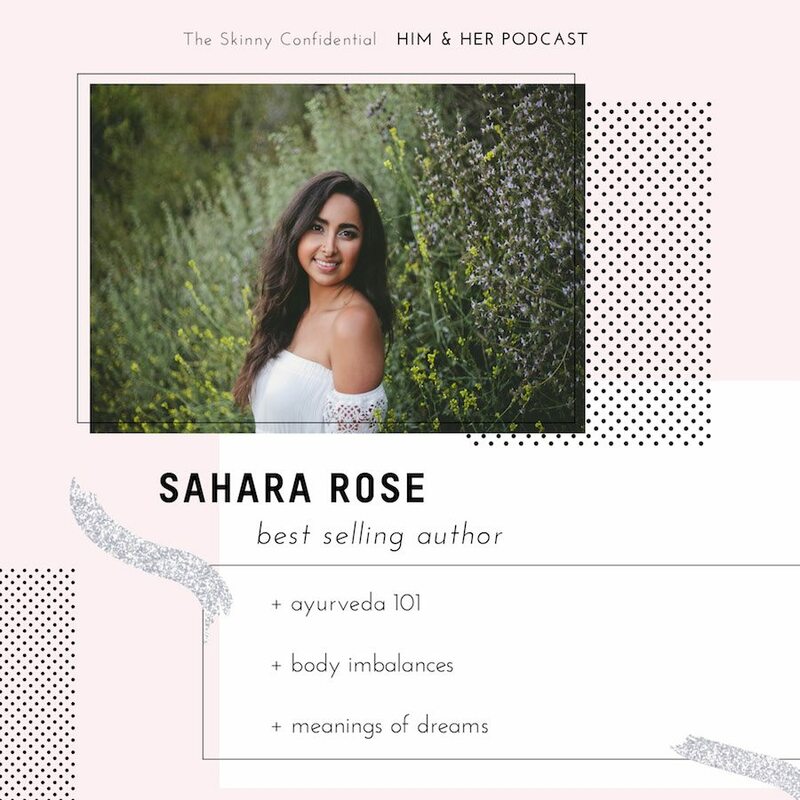 Sahara is a certified Ayurvedic holistic sports nutritionist, wellness blogger and host of The Highest Self podcast. Let’s welcome Sahara Rose! ++ want more? check out posts on oil pulling & dry brushing.